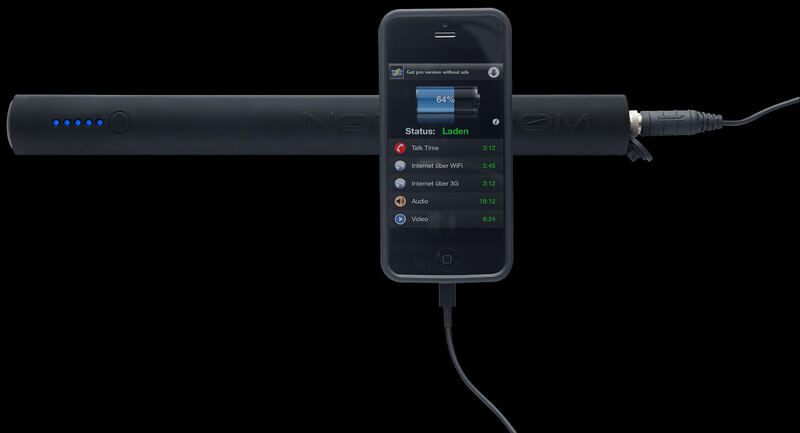 This charging cable with Notstrøm plug is perfect for docking an Apple device with Lightning connection watertight to the Notstrøm power bank during a bicycle or outdoor tour and charging it at the same time when it is raining or wet. Size: 65cm/25,59 inch | Color: Black. If you want a longer (max 95cm) or shorter (min 40cm) cable, we can make it for you at no extra cost. Send your email to order@znex.de with the required length. For outdoor applications, plug connections corrode relatively quickly, which is why we treated the lightning connector with the same protective coating as used by the US military and many aircraft manufacturers to protect sensitive electronic components from corrosion. This protective varnish effectively protects the Lightning plug against abrasion, oil, scratches and fretting corrosion. WATERPROOF: IP68 on the Notstrøm plug connector and IP65 on the Lightning plug by means of a mounted O-ring. CORROSSION PROTECTED: The Lightning connector is coated with a special protective coating used by the U. S. military, NASA and a variety of aircraft manufacturers to protect electronic components from corrosion. SUITABLE FOR ALL PROTECTIVE COVERS: Compact Lightning Connector head works with nearly all cases. Does the plug of the Lightning cable fit into my Wicked-Chili 2.0 Case? Yeah, it’s a perfect fit. Can I get the cable shorter or longer? You can get the cable from 40cm to 95cm in any desired length.. After your order send us an email with your desired length and you will get the cable perfectly tailored to your needs.